Happy Friday!!! Here are the two WOW cards we will be making at my Big Shot classes next week. 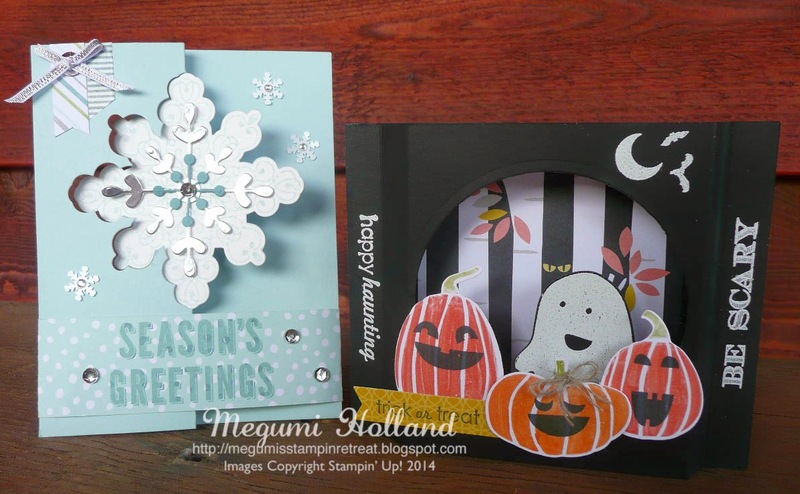 Snowflake Season's Greetings Card - The new Snowflake Card Thinlits Die makes it easy to create a movable card in a snap. Absolutely beautiful!!! 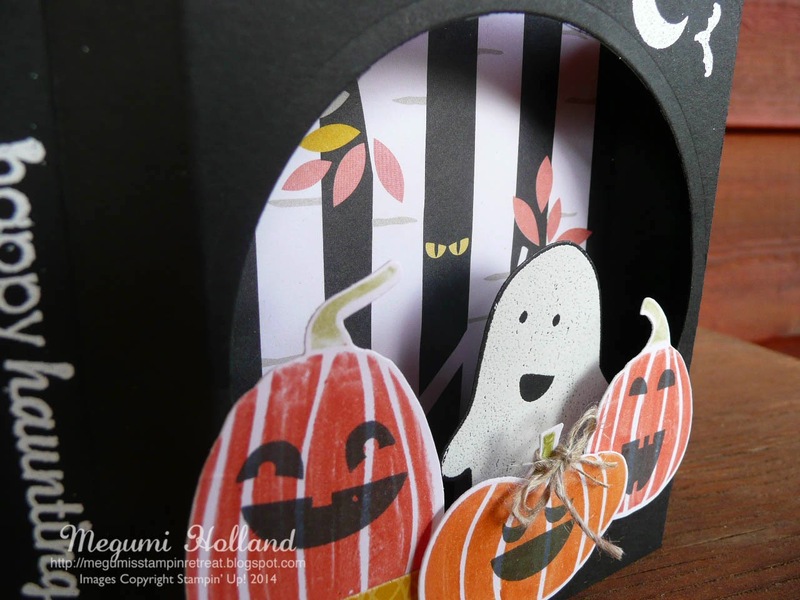 Halloween Shadow Box Card - Can you believe this card becomes flat so that you can put it in an A2 size envelope and mail it to someone special? Look at this cute ghost! He becomes spooky when you shake the card!!! Class fee is $5 per person. Please contact me to reserve your spot. Space is limited. Make sure to sign up early. Both classes are already half full. Please bring your basic tools and adhesive with you. Thank you for stopping by today. Have a wonderful weekend! GO HAWKS!! !